Access lists provides basic traffic filtering capabilities. 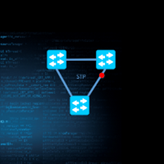 Access lists can be configured for all routed network protocols to filter the packets of those protocols as the packets pass through a router or switch. The main rule is that access list is analyzed top down. First match applies and there is no need to check the rest ACEs (Access List Entries). At the end of ACL there is implicit deny statement.